Forest animals are some of my favorite animals. Maybe it’s the habitat they live in with the trees and moss. Or maybe it’s their deceitfully cute faces. Whatever it is, they are super fun to learn about! Some of them may be new to children, especially preschoolers because they aren’t always the most talked about. It is unfortunate, though, because they are actually quite interesting animals. 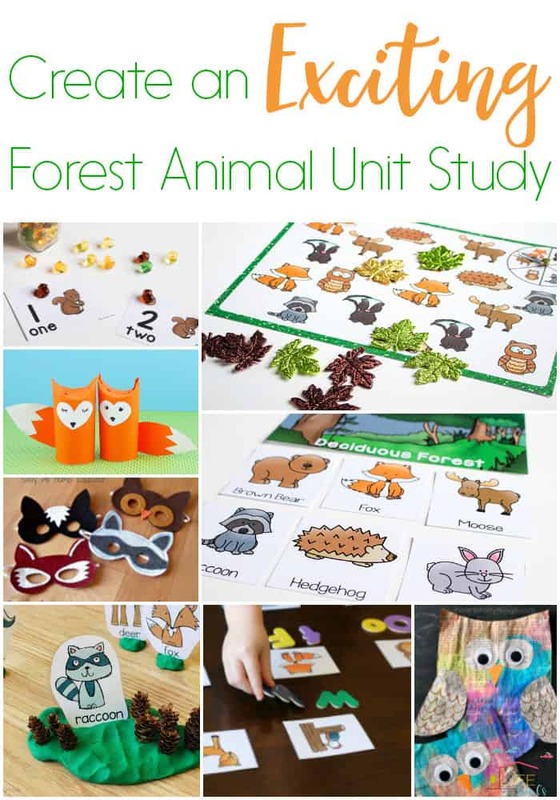 Here are some fabulous ideas to help create a Forest Animal Unit Study. 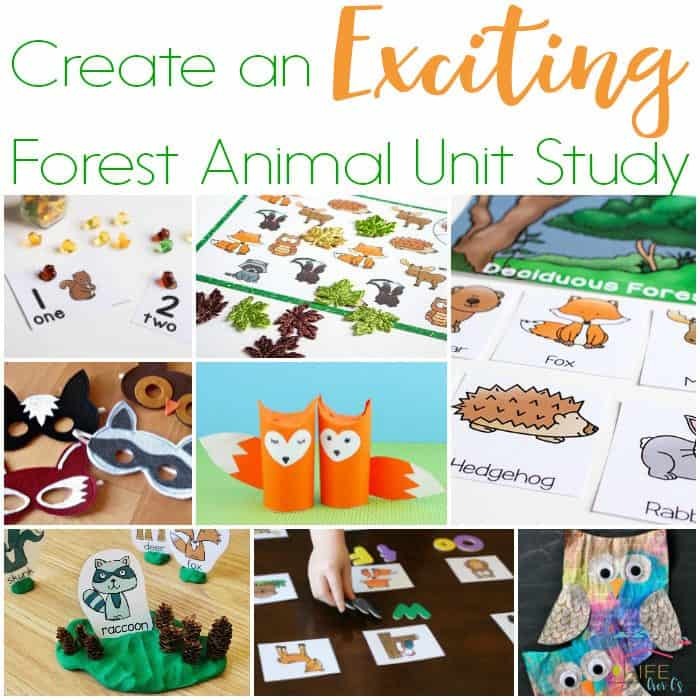 I’ve included Forest Animal themed activities including math, literacy, arts & crafts, sensory, science and just for fun! How fun do all of these look? Besides being some of my favorite animals, Forest Animals make a great theme. These activities are excellent ideas for a unit study or for independent activities with your kids.